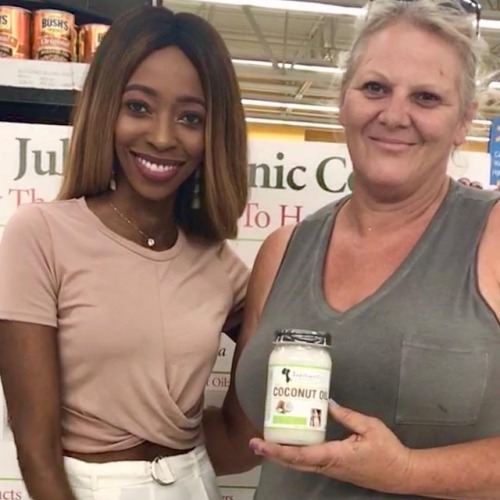 We are always delighted to share our amazing products with health... – Juka's Organic Co.
We are always delighted to share our amazing products with health conscious customers or people that are ready to take control of their health. The foods we eat promotes our wellbeing, not just on a cellular level, but on a whole life level – how we feel, how much energy we have, how strong we are, how capable we can be. You will never see the results you desire if you are always staying in your comfort zone. Cooking well doesn’t mean cooking fancy. A jar of Juka’s Organic cold pressed, extra virgin coconut oil can help you discover that sweet spot you always wanted in your coconut oil. Have the real taste of coconut in our sustainable and ethically harvested 100% natural cold pressed coconut oil and let your body enjoy the health benefits it offers. Prepare your foods with this cold pressed, extra virgin, certified organic, gluten free, dairy free, non GMO️ & no additives coconut oil and we are at Juka’s Organic sure that you have a finger-licking experience.